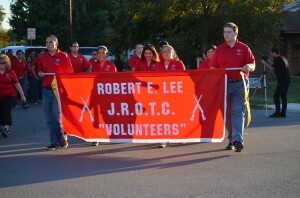 On Wednesday, Oct. 15, was the 6th annual Lee-esta parade and pep rally, starting at 6. 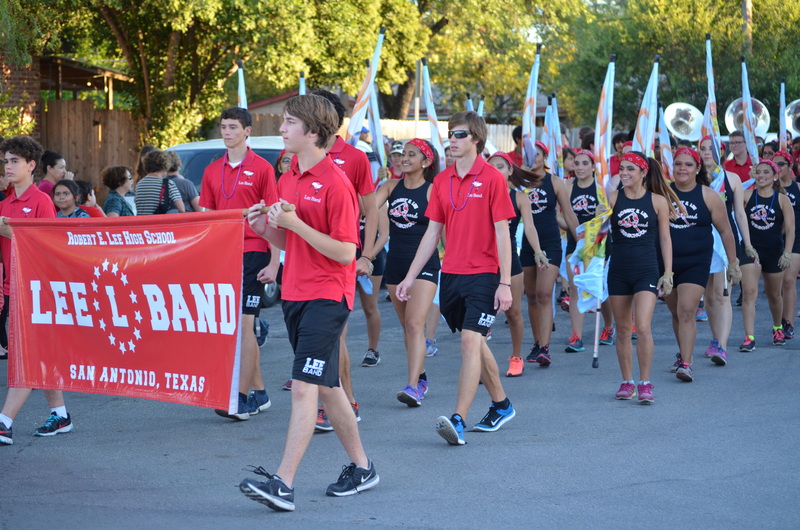 Lee-esta has become a growing tradition, featuring a range of student groups including, the Lee marching band, spirit groups, athletics and clubs. 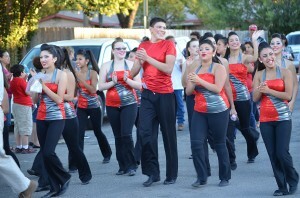 All in attendance enjoyed dance music provided by local radio station 94.1 KTFM. 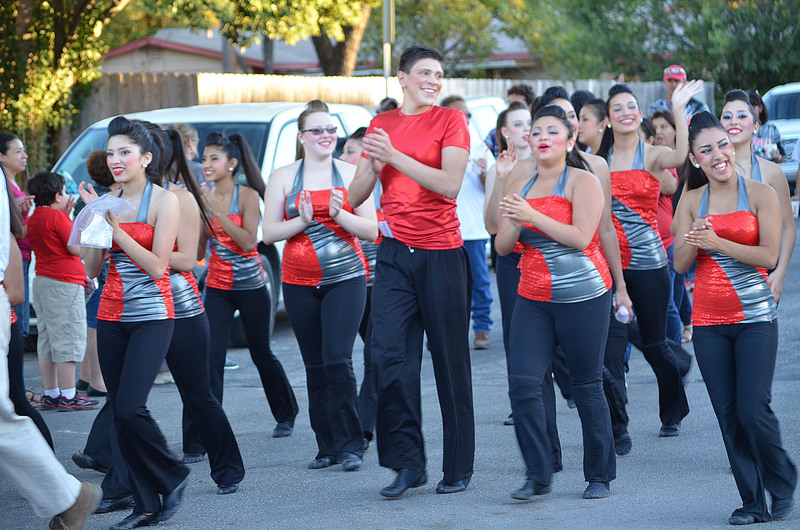 The entire event is coordinated by Tina Alanis, dance director at Lee, along with help from administration and the North East ISD Police Department. 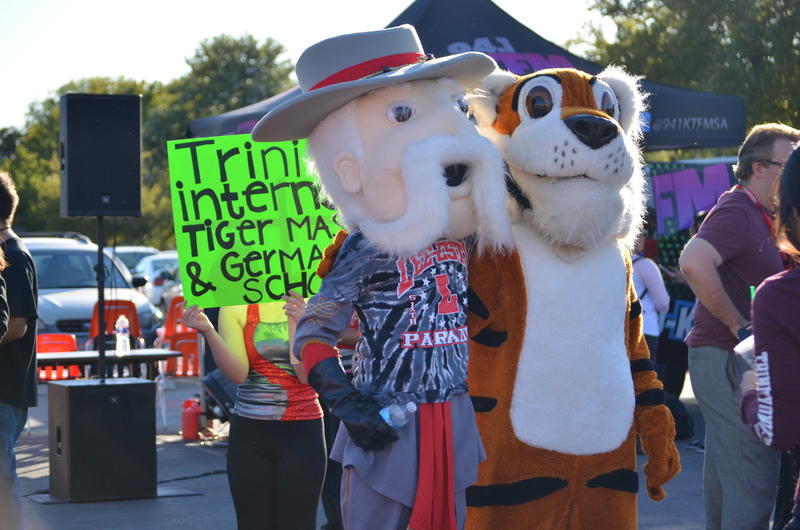 Lee and Trinity’s mascot pose for a picture together. 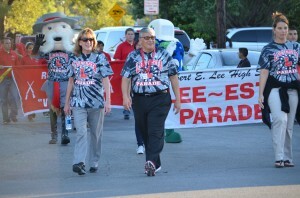 Principal Canales and other administrators in the front of the parade, when coming back to the band parking lot. 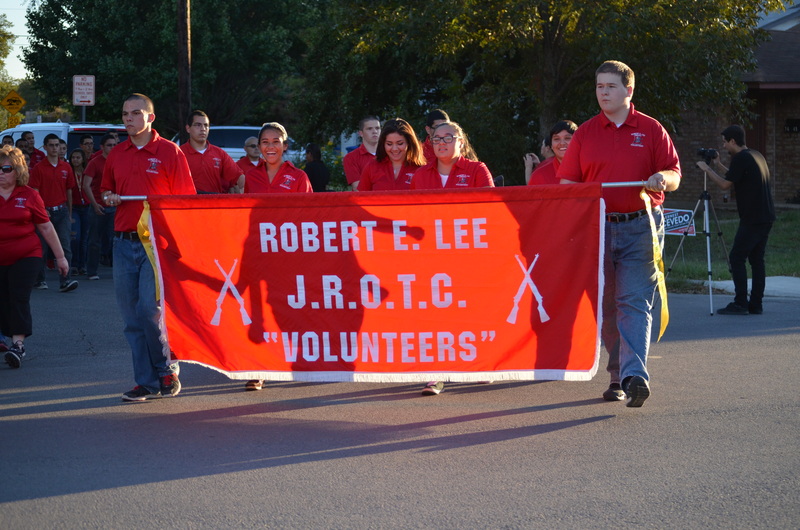 JROTC cadets carry their banner, as second in the parade. 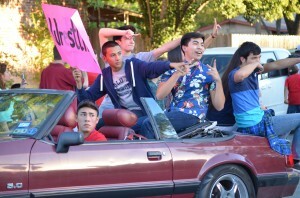 Some wrestlers pose for the camera crew filming. 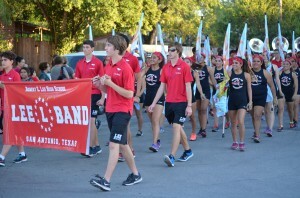 The band and color guard march their way down the street. 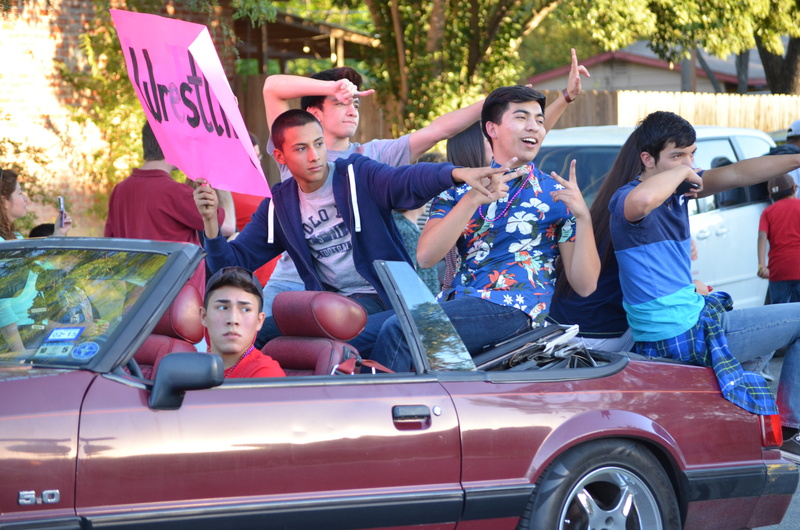 The front Rebel Rousers cheer on as they make their way in the parade. 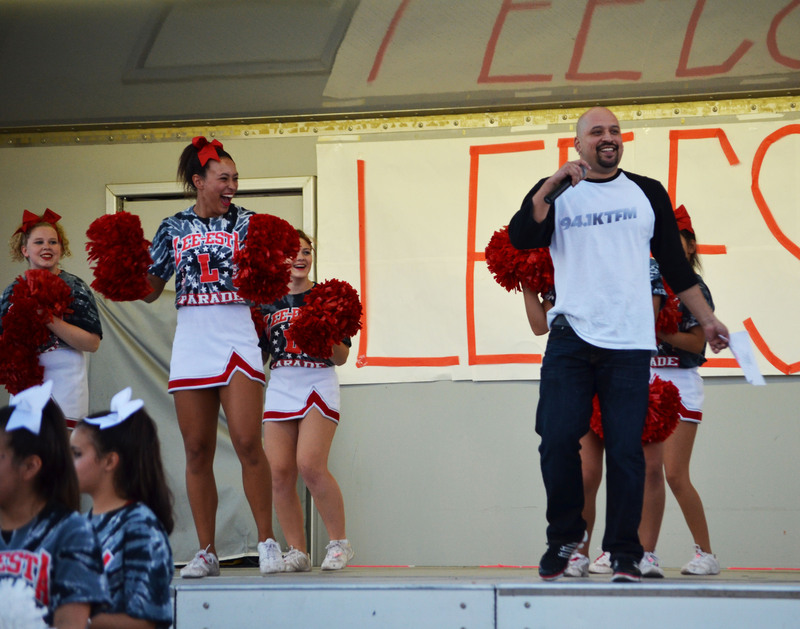 A member from 94.1 KTFM speaks to the crowd. 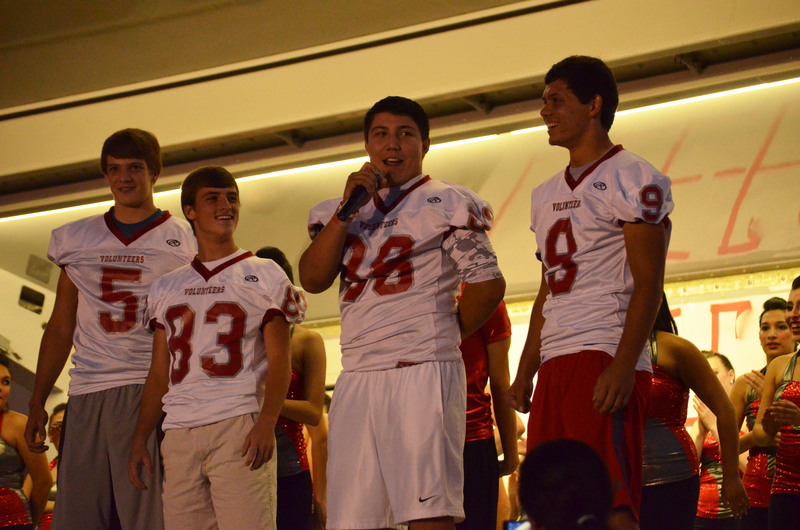 Football captains (for the Lee vs. Mac game) speak to the crowd, giving thanks and appreciation.